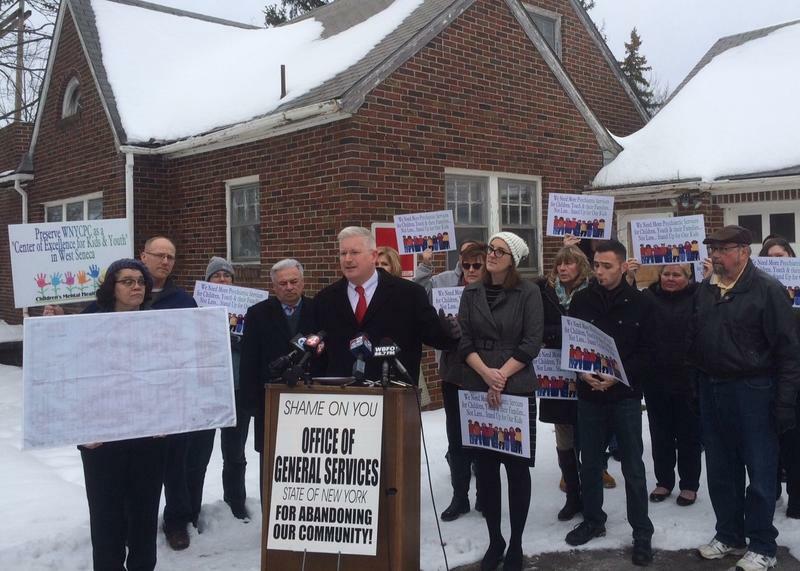 Moving the Western New York Children's Psychiatric Center is on hold. State Supreme Court Justice Catherine Nugent Panepinto issued a temporary restraining order Monday, stopping "all construction and related activities" for moving the facility to the Buffalo Psychiatric Center. The judge's order is in response to a lawsuit filed last week by the Coalition to Save the Children's Psychiatric Center. The group's attorney, Steven Cohen, said a full hearing is set for July 27 and he is confident in prevailing. "First of all, neither the Governor nor the Commissioner can point to any deficiencies in this particular facility," Cohen said. "It is an award-winning facility. It is one of the finest facilities in the United States and one of the very best in the state of New York. It's a facility that works." Cohen said Gov. Andrew Cuomo and state Mental Health Commissioner Anne Marie Sulivan need legislative approval to shut the facility down. However, he said the Senate and Assembly have unanimously approved keeping the West Seneca Children's Psychiatric Center open. The judge's order also bars Cuomo from vetoing the legislation unanimously approved by the state Legislature, as he has indicated he may. Cohen said closing the West Seneca facility will not save as much as the state claims. "This facility is located in a park. It is beautiful, where the Buffalo Psych Center has more of the appearance of a prison," Cohen said. "So the cost to humanity of getting rid of the Children's Psychiatric Center is incalculable." Cohen said the expected budget savings will be offset by construction costs and higher mental health costs. "The cost of the state of having the children return to the psychiatric system makes this move ill-advised from an economic standpoint or from a mental health standpoint." 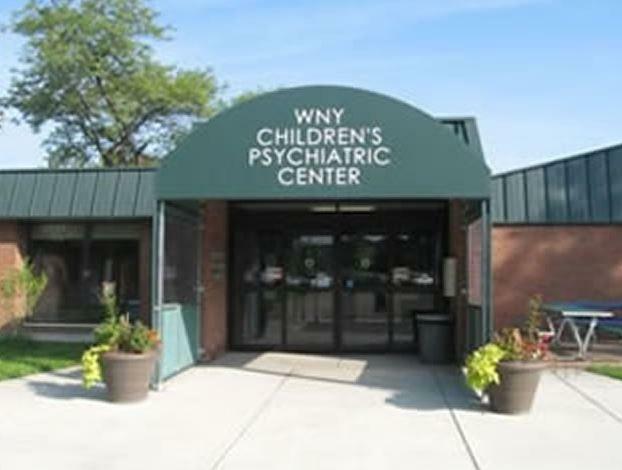 By unanimous votes in both the Senate and Assembly, New York State lawmakers have approved legislation that keeps the Western New York Children's Psychiatric Center open. The biggest hurdle awaits: convincing Governor Andrew Cuomo to sign it. Following a recent violent incident at the Buffalo Psychiatric Center, as well as the acquisition of documents reporting dozens of deaths there over a three-year span, State Assemblyman Michael Kearns is asking the local acting U.S. Attorney to look more closely. The assault on a nurse at Buffalo Psychiatric Center Saturday afternoon has added new fuel to the debate over plans to close the Western New York Children's Psychiatric Center in West Seneca. That plan, which would transfer young patients to the Forest Avenue facility, continues to draw fervent local opposition. 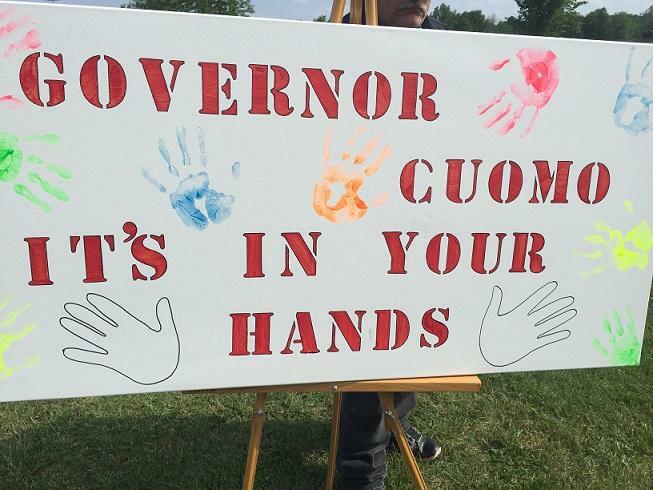 The New York State Office of Mental Health and Governor Andrew Cuomo are again pursuing a plan to close the Western New York Children's Psychiatric Center and move patients into the Buffalo Psychiatric Center. 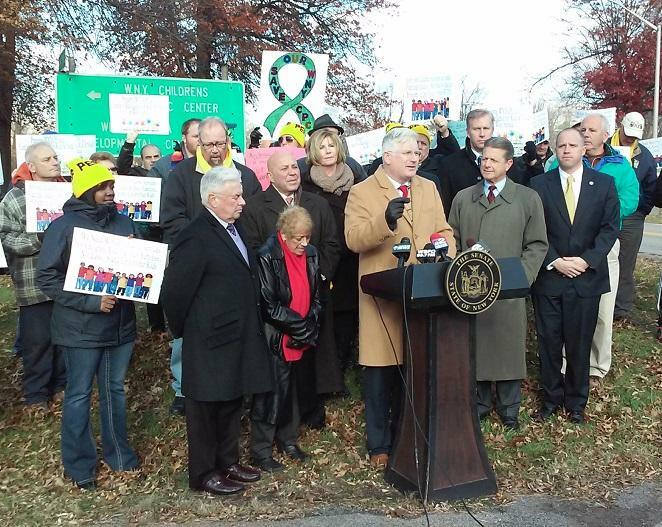 Once again, state legislators representing Buffalo-area districts vow to unite and fight the plan. Advocates are once again blasting Albany over its plan to close the Western New York Children's Psychiatric Center. As the State Legislature approaches the April 1 budget deadline, the Cuomo Administration remains in favor of a plan that has strong bipartisan opposition from local lawmakers. On Wednesday, Lieutenant Governor Kathy Hochul offered assurance that young patients would be safe if moved to the Buffalo Psychiatric Center.